In the last several years, health literacy has become the patient safety and quality issue that everyone is supposed to be paying attention to. The WHO is working on it, along with multiple federal agencies and professional organizations. Health communication researchers have been on it for decades now (way before it was cool). It has its own journal, the Journal of Health Literacy Research and Practice. As a literacy fan, I think this is great. Yet even as the term is almost ubiquitous, it remains vague. Like with many other popular topics, there are different schools of thought out there about health literacy. And people get fired up about one or another facet of health literacy. I continue to ask health professionals what they think health literacy means, and I get a wide variety of answers. Though many people rely on the WHO definition, there are dozens out there. Leaders in the health literacy field have pointed out that none of the existing definitions has adequately captured the complexity of health literacy. Though they have asked repeatedly for a redefinition, as far as I know, one has yet to materialize. Health literacy is nearly always framed as a patient safety, quality, or risk stratification issue. Conversations about health literacy policy and research can be politically charged. That’s all fine, but we want to be careful that we don’t start to think of health literacy as something negative or burdensome. In other words, I’ll invite you for a moment to not worry about health literacy, but to see it as something you can work with. Not only because worry is a waste of energy, but because health literacy is something you can impact. 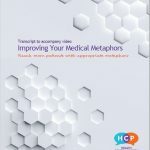 Based on my background and experience in health literacy, and literacy more generally, here are 4 things to keep in mind so you can feel more confident–or perhaps see yourself as more competent–when it comes to doing something about health literacy. We all use language every day. Think of language as something in our human tool kit. At its most basic, health literacy is about language use. More specifically, health literacy involves reading, writing, and a host of other language practices around health, wellness, nutrition, and participation in health care (and other related institutions). There is nothing magical about health literacy in and of itself. 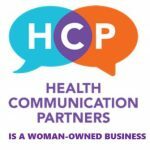 Health communication is a special subset of everyday communication. What trips us up in everyday communication can also trip us up when it comes to health literacy. But many of the same strategies and approaches that work well in everyday language can be helpful in health literacy. For instance, let’s say you’re sending a text message. You know that you increase the chances of your message being understood when you take your audience into account. You make some choices in terms of what you include in that message and how you phrase it, based on what you know about the receiver. This is good news when it comes to health literacy. Even small changes can bring your message in line with what matters to your patients and their families. And rather than worrying about a patient’s low score on a literacy assessment, focus on the ways they are successful users of oral, written, and multimodal language. Sure, the clinical environment gets most of the research attention. But that’s not the only place health literacy happens. Since most of people’s lives are lived outside of the clinical environment, far more health literacy goes on outside the health setting than inside. Health literacy happens all over the place. More frequently than it might seem. And it involves all of us. When we talk, listen, read, watch, or write something, we are interacting with other people and with our environment. When we read, for instance, we are always reading something, for some reason, written by someone(s), and we are somewhere when reading. We consider these contextual factors, sometimes unconsciously, as we make sense of the text. Health literacy is no different. Every day, people encounter and interpret information related to their health and healthcare. Consider those examples I just mentioned of health literacy in action. Each of these are complex interactions between people, messages, and settings. We don’t communicate in a vacuum. Where we are, when, why, who we’re with, what we have—all of this makes a difference to our language use. It makes a difference to how we talk, which is easy to see. So it’s a short leap to imagine how it also makes a difference to how we listen, read, and understand. Health literacy is not a proxy for education. You know, for instance, that being highly educated does not mean having all the information one needs to deal with a health situation. Or knowing the difference between similar-sounding medical terms. Or being savvy with insurance. Or easily navigating a health system. All of this is part of health literacy. Even people who are labelled as illiterate (by one measure or another) have multiple sophisticated ways of reading a text or image, keeping track of items, measuring and weighing, estimating and calculating. Your patient may have scored badly on an assessment, but that doesn’t mean they don’t do any reading or writing in their everyday lives. Remember this when you face your patient, and you’ll both benefit. You’re working hard at communication and you know health literacy is important. That’s why you’re here. You want something that helps because you give a darn about your patients. And you know that communication is central to your ability to do your job well. So these reminders are to help you focus on the parts of health literacy you can actually do something about: the conversations you have with patients, and any written or digital communication. In short, any way words and images are used before, during and after the patient encounter. Because all this is health literacy, and health literacy involves all of us.